Sydney FC’s longest-standing coach Viteslav Lavicka will leave the club at the end of the current A-League season to return home, a positive move for the Sky Blues. In a busy news on the Australian football coaching front, following John van’t Schip’s decision to leave the Melbourne Heart, Sydney FC will also have a new coach for next season. 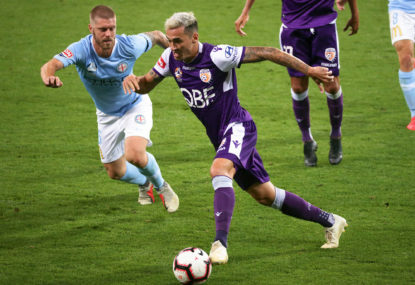 This was a mutually agreed decision, in that Lavicka wanted to head home to his family in the Czech Republic and Sydney FC was ready to have a new coach on board. I think it’s the right call for Lavicka to go. There’s no doubt he was a phenomenal success in first season, delivering the club its first double. But backing up from the minor premiership and grand final win of 2009-2010 has been disappointing. 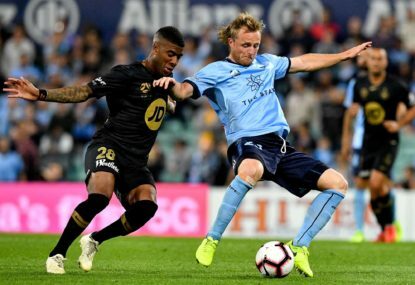 His second season at Sydney FC was a tough one, with the club finishing in a terrible ninth place and failing to fire in the Asian Champions League. His third season has been better than the second but has not reached the heady heights of the first. Sydney FC are currently in sixth place on the ladder but with a host of teams snapping at their heels. If Newcastle beat them this Saturday they will leapfrog them into sixth place. So far the Sky Blues have notched six wins, six draws and six losses in the 2011-2012 season. Inconsistency has been the trend at the club over the past two seasons. In some weird way Lavicka set the bar too high in his first season by achieving what he did. Reaching those heights again has proved impossible. Finishing ninth in ’10/11 and hovering mid-table in ’11/12 is not adequate for a club with the size and ambition of Sydney FC. 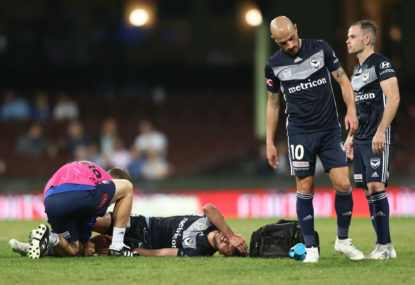 Melbourne Victory know the same pain. Lavicka’s magic seemed to wear off in his second season. 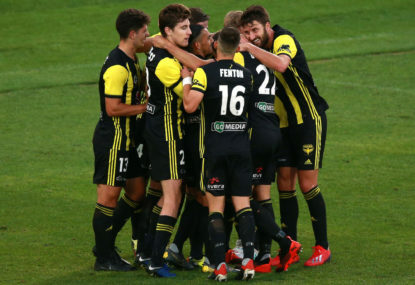 Whether it was the change of personnel – the departure of John Aloisi, Clint Bolton, Karol Kisel, Alex Brosque and Simon Colosimo, not to mention the retirement of Steve Corica – or that the players started to switch off to Lavicka’s instructions, or the coach himself was affected by being away from his family, or other issues, it is hard to pinpoint. But the results just haven’t been there. Nicky Carle’s injury-plagued first season in the harbour city didn’t help. Some strange signings by the club, like Moriyasu and Makela, haven’t impressed either. Player recruitment and retention, such as the loss of Matt Jurman, has been somewhat erratic under Lavicka’s watch. Sydney FC CEO Dirk Meilton says the club “wishes to explore a different football philosophy”, away from Lavicka’s style. 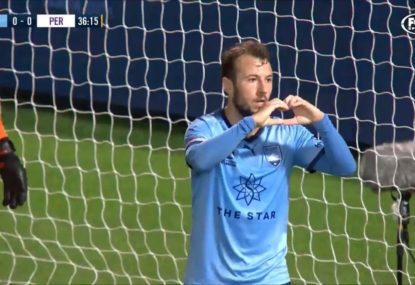 Playing entertaining, attacking football – probably best demonstrated by the Roar and Heart in Australia this season – is a must for the Sky Blues, particularly to boost attendances. 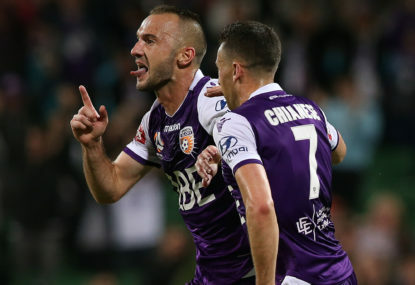 The Sydney-raised Mariners coach and former Northern Spirit and Sydney United player Graham Arnold is firming as Lavicka’s replacement. Whether they get Arnold or not, Sydney FC need to make a good statement with their next head coach. It’s a massively important and unique position. Overall, Lavicka’s tenure at Sydney FC has been a successful one and he has had a positive impact on the club. He leaves as a respected figure at the Sky Blues, and one that will be remembered after it was announced the clubman tropy will be named in honour of him. But it’s now time to look forward and to see how Sydney FC can move itself to the next level.